Japan may have a global image as an ultra-advanced mecca of technology, but they're surprisingly analog in some ways—like the way they do most of their daily transactions in cash! The country is bonkers over banknotes, and recently the Ministry of Finance has revealed some new designs for Japanese yen, inspired by the country's history and culture. 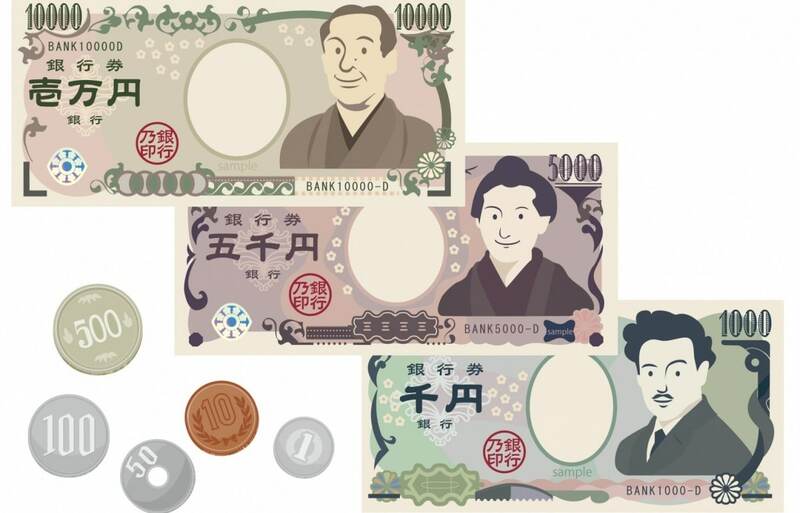 We broke down the denominations and some interesting facts about Japanese currency in a previous article, so this time we'll focus on the notes that are soon to change—the ¥1,000, ¥5,000 and ¥10,000, plus the ¥500 coin—and see how they compare to their counterparts, which have been in circulation since 2004. First up, let's take a look at the rendering for the new ¥500 coin. The changes to the design are pretty subtle, so let's start with the most obvious; the current coin is a single, solid color, but the new coin will be two-toned, and feature three different metals. While the current coin has ridges, they'll be much thicker on the new coin, and obviously the year it is put into circulation will be changed to Reiwa (令和), to reflect the name of the new Imperial era. Here's a picture of the current coin, for comparison. We have to admit, the two-tone does make it look a little more distinct! These new coins will begin circulation in 2021. First up is the ¥1,000 note, which is the smallest denomination among Japanese bills. The current ¥1,000 has an image of the famed (and somewhat controversial) bacteriologist, Dr. Hideyo Noguchi on the front side, and an illustration of Mount Fuji with cherry blossoms on the other. Perhaps in keeping with the theme, the redesign also features a renowned bacteriologist, Dr. Kitasato Shibasaburo. He was the co-discoverer of the infectious agent of the bubonic plague, and was nominated for the first annual Nobel Prize in Physiology or Medicine in 1901. Although he didn't win, he went on to be the first president of the Japanese Medical Association when it was founded in 1923. On the back is an iconic image that perhaps needs no introduction, "The Great Wave Off Kanagawa," by legendary ukiyo-e artist Katsushika Hokusai. If the real note looks even half as good as the rendering, it's going to be gorgeous! It's worth mentioning that these bills are the smallest in more ways than one; they're 76 x 150 millimeters (about 3 x 6 inches). The bills are different sizes so that they're easier to differentiate for individuals with visual impairments, and the new bill will be the same size as the old one. Next up is the ¥5,000 note. The front side depicts Ichiyo Higuchi, a prolific short story author who was regarded for her use of classical Japanese in literature. The back side has an illustration of kakitsubata, or Japanese irises. It's a bit bigger than the ¥1,000 at 76 x 156 millimeters (about 3 x 6.14 inches), and the redesign will be the same size. The new ¥5,000 will also feature an historic Japanese female, Umeko Tsuda, an incredible trailblazer for women's education in Japan who grew up and attended university in the United States, as detailed in Janice Nimura's fascinating novel, Daughters of the Samurai. The back of the note will feature fuji—not the mountain, but lovely Japanese wisteria. Finally, we have the ¥10,000, which is Japan's largest note in both value and size! Measuring 76 x 160 millimeters (3 x 6.3 inches), the current design features a portrait of Yukichi Fukuzawa, a Meiji Period (1868-1912) philosopher who founded Keio University, Japan's oldest institute of higher learning. The other side features an illustration of the phoenix that decorates the Byodo-in Temple in Kyoto. The redesign will feature a portrait of Eiichi Shibusawa, a prolific and influential figure who helped shape modern Japanese society both economically and socially. Not only did he serve in the Meiji government, but he also helped foster the foundation of some 500 corporations as the superintendent of the First National Bank. The other side features an image of Japan's historic (and very busy) Tokyo Station, as viewed from the Marunouchi entrance, which opened in 1914. Keep in mind that these mockups are still under consideration, so the final designs are subject to change before their release in 2024. Either way, we can't wait to do some shopping with these beauties!